Trade show demo Koblen SP15 unit will have less than 8 hours of use on it. Full Factory Parts Warranty - same as a new unit. This unit will NOT ship in the original factory box. Definition of Demo / refurbished / blemished means might have the following conditions: blemish, scratch, rust, or dent, used at a trade show, tested in the showroom by a customer, last years model, return by shipping company, returned by customer, used by factory for R&D work, and or no factory box. Limited stock so if you purchase it and we cannot fill the order because another customer beat you to the bargain, your money will be returned. Please do not call to see if it is still available as if the web page is up and viewable, it is available this second. If you delayed and asked if it available so you let some other customer place the order ahead of you. All sales are final. Condition of this machine: "A+ perfect"
Signature required on delivery, Shipping cost handles insurance, shipping, new boxing. Unit will require minor assembly. Preparing a floor before refinishing is time consuming and costly. Conventional floor machines (polishers) aren’t designed to get into corners. 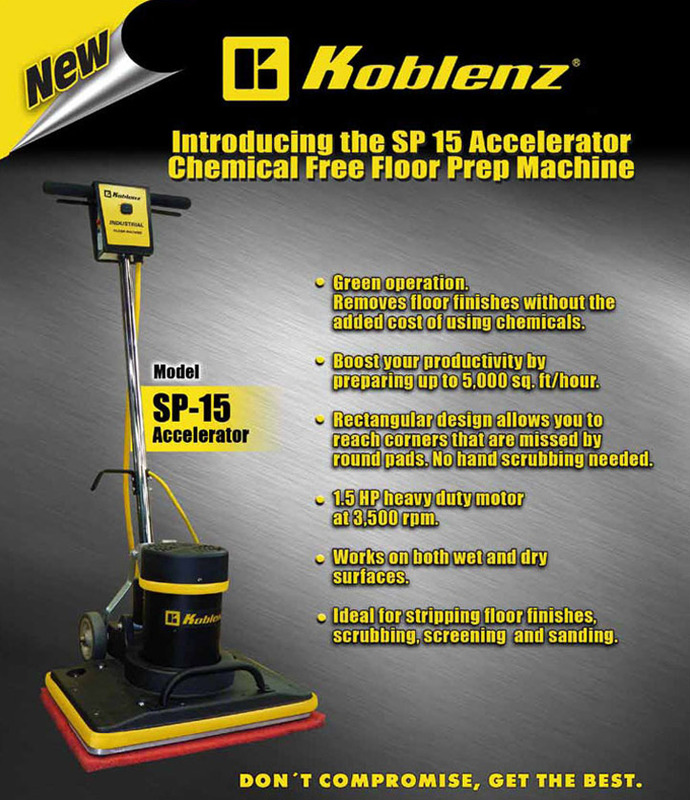 The Koblenz Accelerator Chemical Free Floor Prep Machine is ideal for stripping floor finishes, sanding, scrubbing and screening. 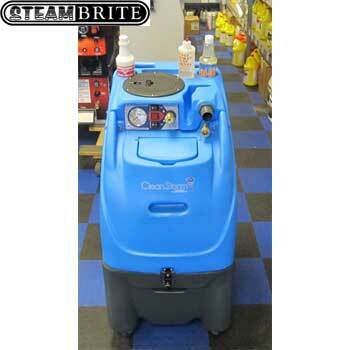 Eliminates the need of costly chemical strippers and increases your productivity saving thousands of dollars each year. Green operation - removes floor finishes without the added cost of using toxic chemicals and the rectangular design gets into corners and edges that are missed by round pads. No hand scrubbing needed. Boost your productivity by preparing up to 5000sq. ft/hour. 1.5 HP heavy duty motor at 3500 rpm. Works on both wet and dry surfaces. Operating the Koblenz square floor strippers is as easy as holding it lightly with one hand. It is the most flexible floor machine on the market. Don’t compromise, get the best. 45-0875-00-0 - 6 amp Pigtail Outlet Kit (additional outlet to connect a vacuum cleaner). LOW PAYMENT LEASE PROGRAM AVAILABLE !!! Safety switch prevents accidental startup. Pad Size: 20" x 14"
Shipping weight: 125 lb . 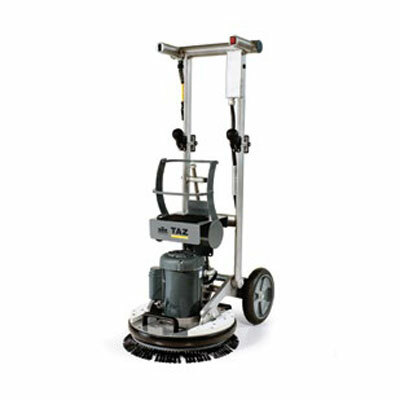 Steambrite's Floor Machines - Koblenz SP15 Demo Trade Show Accelerator 20X14 Orbiting Pad 1.5 HP Square Scrubing Floor Machine 00-4501-3 SP-15 Gently Used [SP15 Demo] is . This product was added to our store on Thursday 06 December, 2018. 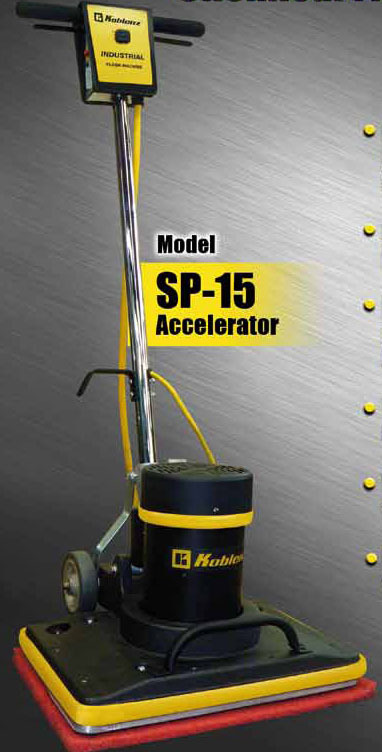 Steambrite will ship the Koblenz SP15 Demo Trade Show Accelerator 20X14 Orbiting Pad 1.5 HP Square Scrubing Floor Machine 00-4501-3 SP-15 Gently Used [SP15 Demo] by either Fedex or Freight Quote, and are normally shipped within 1-10 working days. Please remember it takes 6-8 working days for you to receive your order after shipment, and ground shipping times are not guaranteed. Next day and two day service are available. Click here for our full shipping policy. Specifications subject to change without notice. 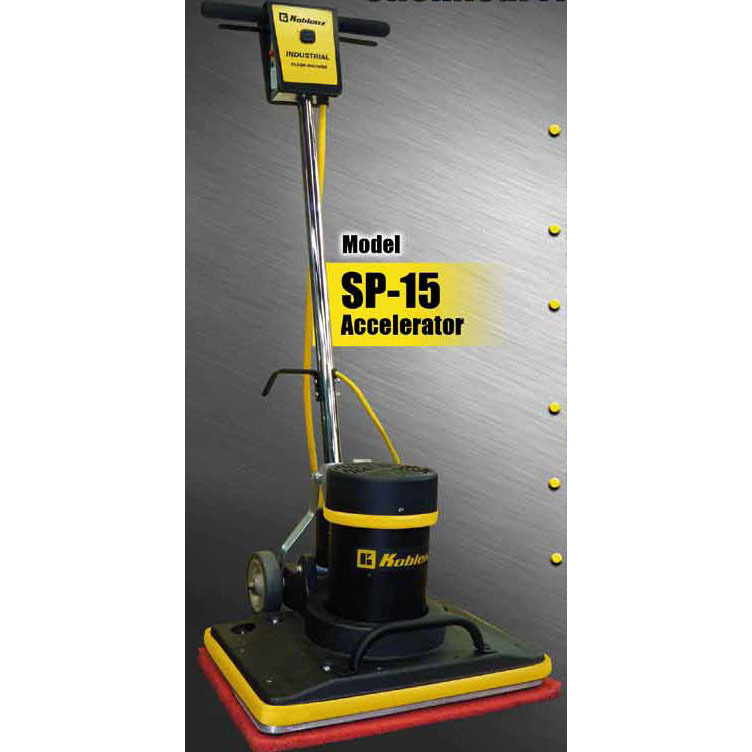 Steambrite's Floor Machines - Koblenz SP15 Demo Trade Show Accelerator 20X14 Orbiting Pad 1.5 HP Square Scrubing Floor Machine 00-4501-3 SP-15 Gently Used [SP15 Demo].